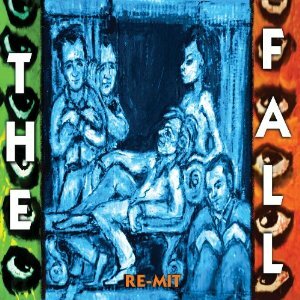 The Fall return with a new album titled Re-Mit later this month. The band's line-up remains the same as for their last album (2011's Ersatz GB): Mark E. Smith, Eleni Poulou, David Spurr, Pete Greenway, and Keiron Melling. Re-Mit will be released in the U.K. through Cherry Red on May 13th. In North America the album will be available digitally on May 13th, and the import physical CD version arrives May 21st. Stream three songs from Re-Mit (released last month as part of the Fall's limited edition Record Store Day release in the U.K.) and pre-order the album through iTunes, Amazon, or Cherry Red.